The new-fashioned euro-red boom today swept most of the inhabitants of our planet. You can argue about the pros and cons of plastic windows for a long time, but if you purchased them, you will have to install them. 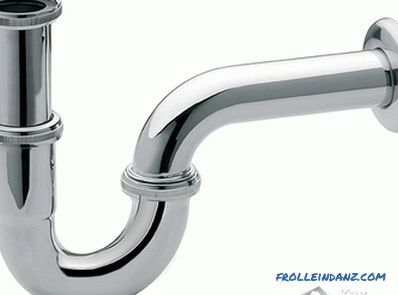 It’s up to you to install or trust the professionals. 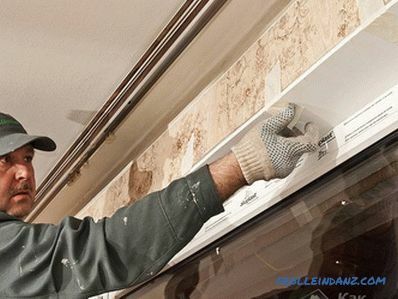 Before you choose, we suggest that you familiarize yourself with the material on how to properly insert plastic windows so that they will provide your family with heat protection for a long time. 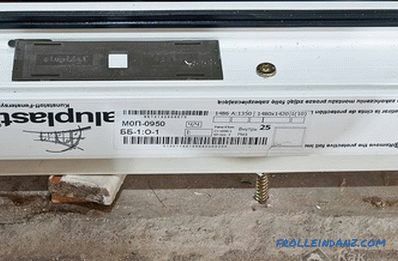 If you are not too confident in your abilities, it is better to entrust the installation of PVC windows to specialists. You should be responsible for taking measurements . Be sure to keep in mind that window openings are of 2 types: with a quarter and without. 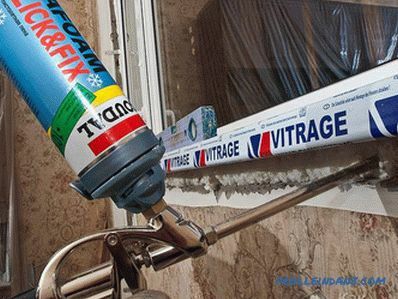 In the first option , it is necessary to measure the width of the opening in its narrowest place between the quarters and add 30-40 mm to the obtained value - this will give you measurements of the width of the window construction. 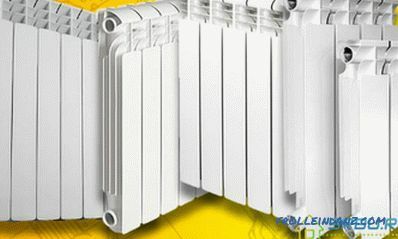 Next, make sure that the calculated width of the window unit exceeds the maximum distance between the vertical quarters. 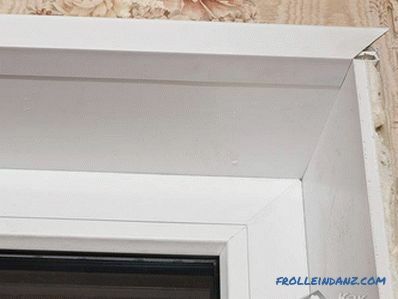 To determine the height of the window, you need to measure the distance from the horizontal upper quarter to the lower quarter of the window opening. 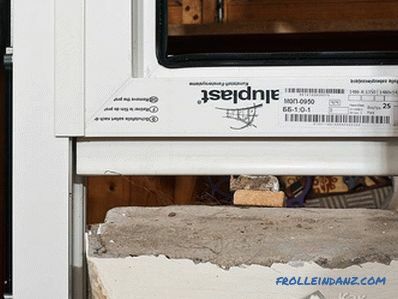 The dimensions of the window block you receive should be larger than the external opening of the window so that no gaps between the edges of the opening and the window box are formed. 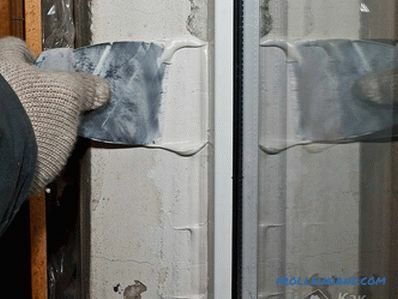 The ebb width is calculated taking into account the proposed method of insulating the opening or covering of the enclosing structures (usually the ebb comes out 50-100 mm from the wall plane ). The width of the window sill is determined on the basis of its functional purpose (whether it will be decorated with flower pots or not, etc.). Often the protruding part of the window sill slightly covers the radiators. 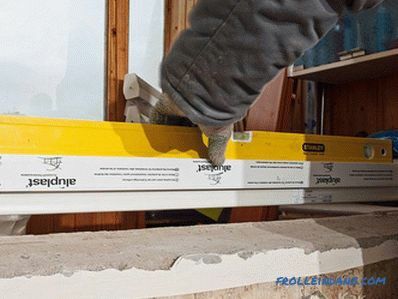 The length of the window sill should be approximately 100 mm longer than the width of the window opening (the edges of the window sill sink into the recess cavity by about 50 mm). 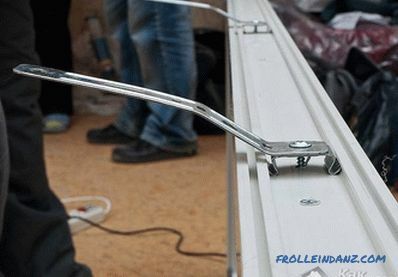 availability and quality of fasteners and other related fittings for window construction. 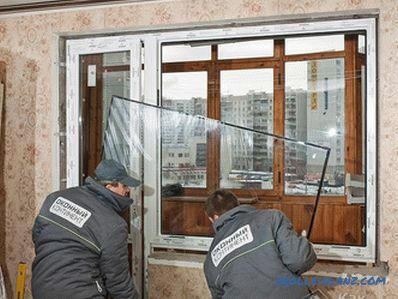 All obstacles should be removed from the window dismantling site, be it furniture or household items. 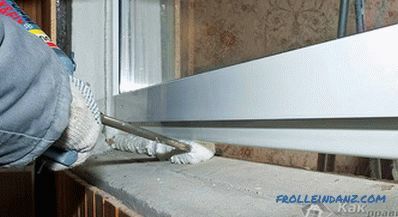 The window block must be freed of the opening vents and sashes. Next, in the window construction, the glasses and their glazing beads are removed. With a hacksaw or an existing grinder on the farm (with a cutting wheel), cuts are made in the horizontal and vertical bars of the frame. 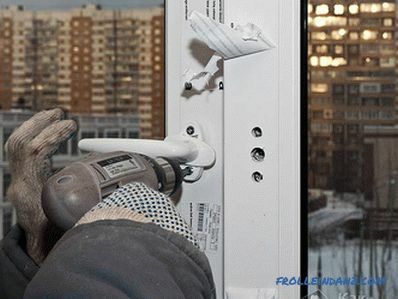 Using the available tool at home (hammer, scrap, mount), the old frame is removed from the window opening. 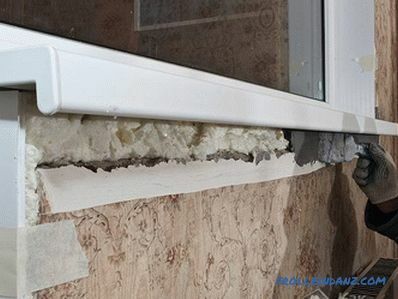 In addition to the window frame, you should dismantle the window sill and ebb. The window opening is cleared and leveled. Then the room is cleaned from the resulting debris. 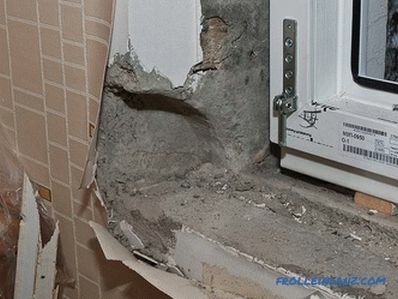 If you wish, you can dismantle the window frame without destroying it, while preserving its integrity, but this requires from the contractor in addition to knowledge, experience and considerable time costs. 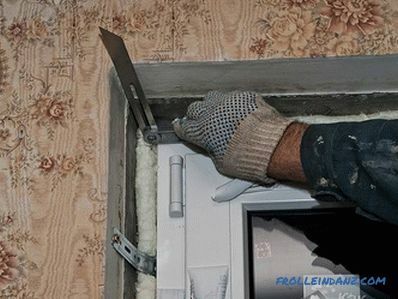 Do all the operations to remove the old window unit should be very carefully, so as not to injure yourself, while excluding the possibility of accidental falling out of the window. Acquired plastic windows should be freed from the hinged leaves, and also in the blind doors to dismantle the double-glazed windows. Next, a preliminary marking and drilling of the holes for fasteners are made. 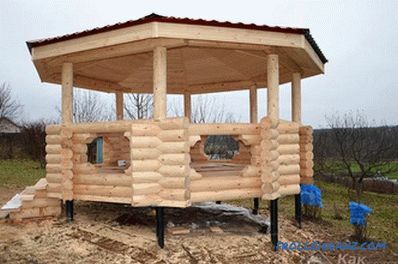 Then, the window frame is installed in the opening and aligned along the perimeter (horizontally and vertically). 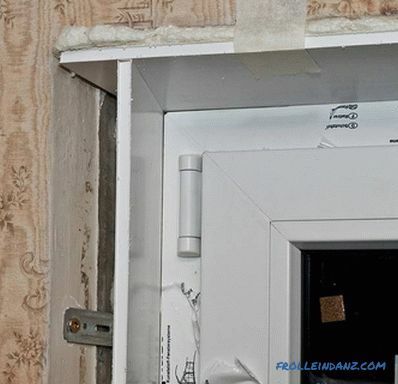 With the help of anchor bolts, the frame should be securely fixed in the opening. Each side of the frame should be fixed with a step of 70 cm. Next, you need to install external outflows. They are adjusted to the required dimensions, and then mounted on the place intended for them. 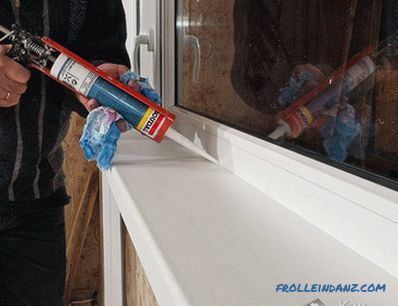 After the new PVC window is installed and securely fixed, and the ebb is mounted, you must seal the installation seams with a special mounting foam. 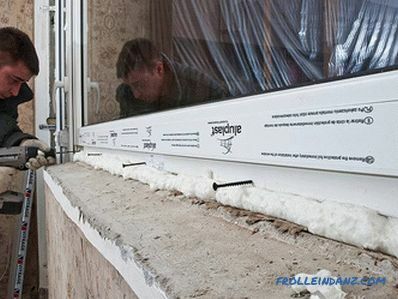 That is, all the space formed between the walls of the opening and the window frame is filled with foam. 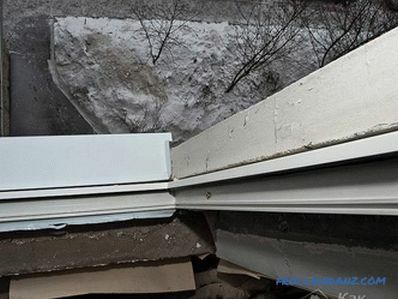 Next, the installation of the sill. 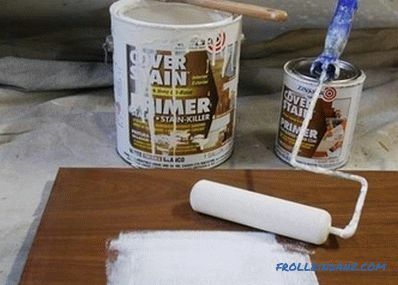 With the help of grinders, saws with a small tooth or jigsaw, the dimensions of the window sill are adjusted to the required. After that, it is put on a level on the prepared wooden props and foamed with mounting foam. 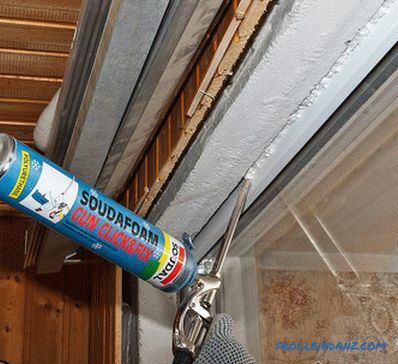 But before foaming starts, in order to eliminate the possibility of deformation of the window sill (when expanding foam) at three points on its surface, it is necessary to install some weight weighing about five kilograms each. After a day, the protruding foam residues are cut off. This can be done with a stationery knife. The slopes of the internal opening can be sewn up with drywall, puttyed, or it can be decorated with plastic panels. 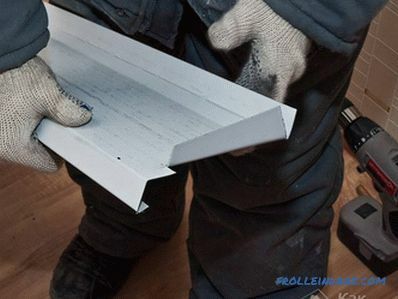 The joints between the panels are closed with special corners and then sealed with liquid plastic. At the final step, installation of double-glazed windows and installation of sashes into the frames are carried out. Handles are attached to the hinged leaves, fittings are adjusted, and window hinges are closed with special decorative caps. 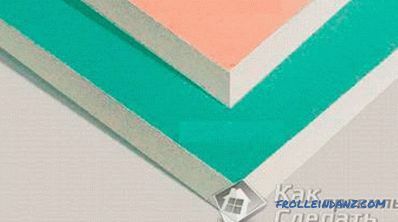 Now you can remove the accumulated construction debris and organize a presentation to the family of the plastic window itself.